To furnish the diverse requirements of our clients in the best possible manner we are involved in offering an extensive range of Number Punching Machine. We "Eternal Engineering Equipment Pvt. 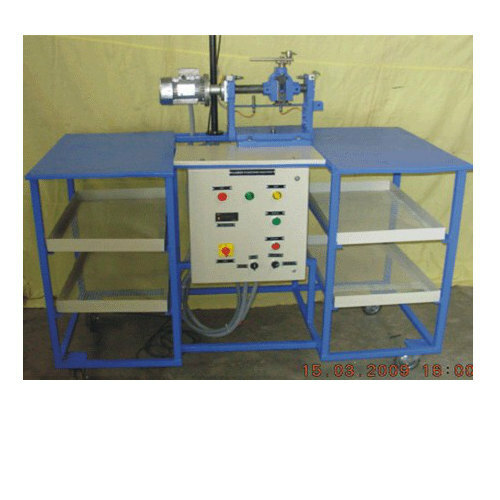 Ltd." established in the year 2000 are engaged in manufacturing, supplying and exporting of Engineering LAB Equipment & Special Purpose Machine. We are a small scale industrial unit, with our beginning in a small rented factory premises of 1000 sq. ft. in Pirangut in May 2000 under the name of "Educational Equipment Enterprises" till July 2006. From August 2006 onwards company's status has been changed to a Private Limited under the name : "Eternal Engineering Equipment Pvt. Ltd". In 2007, we shifted to our own premises with present place of address with the well developed facility of 5000 sq. ft. area for production & 2000 sq. ft. for design, marketing & office purpose. With this we are heading towards our goal with good infrastructure, design potential & basis of engineering science knowledge. We have been manufacturing the SPM (Special Purpose Machine) along with the Engineering Education Lab. Equipment right from the beginning in the year 2000. With the growing sense of quality consciousness & meeting international standards, the Indian engineering industries have been emphasizing on the quality assurance & production techniques to provide products with increased reliability, with a view of global marketing & providing testing & production machine as per the specifications of the concerned company & international testing standards. We on our part are helping them to maintain their position through our special purpose. We are export our products in these countries like Norway, England, UAE, Bahrain, Thailand, Oman, Bangladesh, Malaysia, Qatar, Nigeria, U.K, Bhutan, Vietnam, Philippines, Egypt, Iraq, Ghana, and Greece.